Professor McDonald retired in December, 2010. He continues to remain active in research, graduate supervision and ethics consulting. Michael McDonald was the founding Director of the W. Maurice Young Centre for Applied Ethics (1990-2002). He received an Honours BA in Philosophy from the University of Toronto and an MA and PhD in Philosophy from the University of Pittsburgh. From 1969 to 1990, he was a member of the Philosophy Department at the University of Waterloo. In 2009, the Canadian Bioethics Society gave its Lifetime Achievement Award to McDonald for his “outstanding contribution to the Healthcare Ethics in Canada”. Complete In 2006, the Certified General Accountants Association of Canada presented McDonald with the designation of Honorary Certified General Accountant for his contribution to professional ethics education for the Association. McDonald also headed the creation of two websites with Dr. Holly Longstaff and Nina Preto: www.stemcellethics.ca is an educational resource dedicated to helping Canadian stem cell researchers navigate ethical issues in their work; www.researchethicssurvey.ca is a website designed for gathering information that will promote better communication amongst and between researchers, research administrators, research participants, and research ethics committees. McDonald’s work is located at the intersection of theory and practice in health care, business and professional life, politics, and other aspects of everyday life. He has written on such topics as the ethics of research involving human subjects, cross-cultural ethics, the rights of communities, professional and corporate responsibility, and the place of applied ethics in contemporary society. He has played an important leadership role in the development of a significant Canadian research capacity in applied ethics. For over twenty years Dr. McDonald has been involved in the study and formation of ethical standards for research involving humans and its governance. Along with colleagues Dr. Susan Cox and Dr. Anne Townsend (University of Exeter), McDonald is now looking at how research ethics boards (REBs) form beliefs about the experiences of research participants. These beliefs ground judgements REBs make about consent processes and risks/benefits in research. This is part of a long standing concern for evidence-based protection of research participants. McDonald is also working on a paper on participatory engagement of patients in health research whether as co-researchers, sponsors, advisors, etc. Another area of current writing is on the ethical acceptability of paid plasma donation. I am not currently teaching any courses at UBC. I am however available for working with graduate students and giving guest lectures on topics in my areas of expertise. 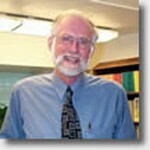 McDonald is currently supervising several graduate students. He also is Program Director of the “Training Program in Health Ethics Research & Policy” (see list of research projects above). Ethical issues in the treatment of humans subjects involved in health research are addressed by McDonald in a series of recent publications. In The Governance of Health Research Involving Human Subjects, McDonald and his co-authors provide the first in-depth description and analysis of Canadian public and private sector oversight of health research involving human subjects. This study was prepared for the Law Commission of Canada, Ottawa and published in October 2000. This study is available in either English or French and copies can be obtained directly from the Commission. In the sections of the study authored by McDonald (Ethics and Governance), he provides in Section A an overview of the project as well as its scope and limitations. In Section B, he offers a conceptual analysis of ethics in relation to governance, a description of the current governance processes and an account of the factors shaping the context of Canadian governance for the area. In the final section of the study (Section F) McDonald presents five major conclusions and recommendations essential to the reform of Canadian governance for health research involving human subjects. In The Governance of Health Research Involving Human Subjects: Reflections on Ethical Policy for Scientific Research (Transactions Royal Society of Canada Special Issue: Science and Ethics, Series VI, Volume XI, pp. 49-68), McDonald provides an overview of the work done by his research team for the Law Commission of Canada and suggests that political divisions over appropriate governance have been exacerbated by a lack of good ethical analysis and qualitative research. In Canadian Governance of Health Research Involving Human Subjects: Is Anybody Minding the Store? (Health Law Journal, Vol.9, 2001, 1-21), McDonald strongly criticizes the current state of inaction with respect to Canadian protection for human subjects and argues for an evidence-based approach to the protection of research subjects. In transplantation ethics, McDonald has published work as member of interdisciplinary team from the British Columbia Transplant Society on living anonymous donation (LAD) – the donation of a kidney by a donor to a “stranger” someone who is unrelated biologically or emotionally. In The living anonymous kidney donor: Lunatic or saint? (American Journal of Transplantation, in press), evidence is offered that a significant number of potential LADs are likely to be psychologically stable altruistic donors. Earlier work on public receptivity to LAD is reported in Living Anonymous Kidney Donation: What Does the Public Think? Transplantation (in press, June 2001). Cross-cultural dimensions of the concept of health and their relevance to health care are tracked by McDonald in Health, Health Care and Culture: Diverse Meanings, Shared Agendaswhich is a chapter in A Cross-Cultural Dialogue on Health Care Ethics (H. Coward and P. Ratanakul (Eds.) Wilfrid Laurier University Press, 1998). McDonald’s work in business and professional ethics includes publications on accounting ethics, most notably the Ethics Reading Handbook which is used by the Certified General Accountants of Canada as a basic part of their distance education program for CGA status. He has also written on ethics for foresters: First Principles for Professional Foresters. Peter C. List, Ed. Environmental Ethics and Forestry: A Reader (Philadelphia: Temple University Press, 2000; pp.128-144). McDonald’s earlier work in political philosophy is represented by a variety of publications. The paper Aboriginal Rights has been reprinted in anthologies by Cragg — Contemporary Moral Issues (McGraw Hill Ryerson) and by Soifer — Ethical Issues Perspectives for Canadians (Broadview Press). The argument that ends justifying means in politics is discussed and rejected by McDonald in Hands: Clean and Tied, Dirty and Bloody which is published in Cruelty and Deception: The Controversy Over Dirty Hands In Politics, David Shugarman and Paul Rynard, Eds. Broadview Press, 1999. Zubin Master, Michael McDonald, Danielle Paciulli, Holly Longstaff, “A Primer on Ethics Education for Stem Cell and Biomedical Scientists”, Current Stem Cell Reports, Forthcoming. Timothy Caulfield, Kalina Kamenova, Ubaka Ogbogu, Amy Zarzeczny, Jay Baltz, ShellyBenjaminy, Paul A Cassar, Marianne Clark, Rosario Isasi, Bartha Knoppers, Lori Knowles, Gregory Korbutt, James V Lavery, Geoffrey P Lomax, Zubin Master, Michael McDonald, Nina Preto, Maeghan Toews, “Research Ethics and Stem Cells: Is It Time to Rethink Current Approaches to Oversight?” EMBO Reports, 01 December 2014, 1223-1230. Rosario Isasi, Peter W. Andrews,Jay M. Baltz, Annelien L. Bredenoord, Paul Burton, Ing-Ming Chiu, Sara Chandros Hull, Ji-Won Jung, Andreas Kurtz, Geoffrey Lomax, Tenneille Ludwig, Michael McDonald, Clive Morris, Huck Hui Ng, Heather Rooke, Alka Sharma, Glyn N. Stacey, Clare Williams, Fanyi Zeng, and Bartha Maria Knoppers, Identifiability and Privacy in Pluripotent Stem Cell Research, Cell Stem Cell 14, April 3, 2014. Anne Townsend, Paul Adam, Linda Li, Michael McDonald, Catherine Backman, “Exploring eHealth Ethics and Multi-Morbidity: an Interview and Focus Group Study of Patient and Health Care Provider Views and Experiences of Using Digital Media for Health Purposes”, JMIR Research Protocols 2013, vol. 2, issue 1. McDonald, Michael and Longstaff, Holly. (2013). Spinning a Stem Cell Ethics Web. Journal of Accountability in Research: Policies and Quality Assurance, 20, 2, pp. 107-126. Michael McDonald, Susan Cox, Anne Townsend, “Towards Human Research Protection that is Evidence-based and Participant Centered”, The Future of Human Subjects Research Regulation, Glen Cohen and Holly Lynch, Eds. MIT Press, 2014. Holly Longstaff, Michael McDonald, Jennifer Bailey, “Communication Risks and Benefits About Ethically Controversial Topics: the Case of Induced Pluripotent Stem (iPS) Cells”, Stem Cell Reviews and Reports, 5,2, 89-95. James A. Anderson, Brenda Swatzky-Girling, Michael McDonald, Daryl Pullman, Raphael Saginur, Heather A. Sampson, and Donald J. Willison, “Research Ethics, Broadly Writ”, Health Law Review 19, 3, 2011, 12-24. Michael McDonald, Daryl Pullman, James Anderson, Nina Preto and Heather Sampson, “Research Ethics in 2020: Strengths, Weaknesses, Opportunities and Threats”, Health Law Review 19, 3, 2011, 36-55. Jonathan Kimmelman, Michael McDonald, and Denise Avard, “A Guide to the Perplexed: How to Navigate Conflicting Research Ethics Policies”, Health Law Review 19, 3, 2011, 56-62. Zubin Master, Michael McDonald, Bryn Williams-Jones, “Promoting Research on Research Integrity in Canada”, Accountability in Research 19, 1-6, 2010. Michael McDonald, Susan Cox. “Moving Towards Evidence-Based Human Research Protection”, Journal of Academic Ethics, 7, 1-2, 2009. Timothy Caulfield, Amy Zarzeczny, Jennifer McCormick, Tania Bubela, Christine Chritchley, Edna Einsiedel, Jacques Galipeau, Shawn Harmon, Michael Huynh, Insoo Hyun, Judy Illes, Rosario Isasi, Yann Joly, Graeme Laurie, Geoff Lomax, Holly Longstaff, Michael McDonald, Charles Murdoch, Ubaka Ogbogu, Jason Owen-Smith, Shaun Pattinson, Shainur Premji, Barbara von Tigerstrom, David E. Winickoff. “The Stem Cell Research Environment: A Patchwork of Patchworks”. Nature Reports forthcoming (shorter version of paper); Stem Cell Reviews and Reports (2009), 82-88. Holly Longstaff, Catherine A. Schuppli, Nina Preto, Darquise Lafrenière and Michael McDonald, “Scientists’ perspectives on the ethical issues of stem cell research”, Stem Cell Reviews and Reports (2009) 5, 89-95. Michael McDonald, “From Code to Policy Statement: Creating Canadian Policy for Ethical Research Involving Humans”, Special Issue Canadian Network for the Governance of Ethical Health Research Involving Humans: Evidence, Accountability and Practice, Health Law Review, 17(2) 2009, Vol. 17 Issue 2/3, pp. 12-25. Brian Evoy, Michael McDonald, James Frankish. “Civil Society? What Deliberative Democrats Can Tell Advocate about How to Build the Health Promotion Agenda”, Canadian Journal of Public Health 99, 4 (July-August 2008) 321-323. Cox, Susan M. and Michael McDonald. Research on Research Ethics: Must the Ethics Researcher Become an Ethics Cop, Consultant or Conduit? Journal of Empirical Research on Human Research Ethics (JERHRE). Michael McDonald & Bryn Williams-Jones, “Governance and Stem Cells: Towards the Clinic” Health Law Review (2008) 16(2) 27-40. Brian D. Westerberg, Sipke Pijl, Michael McDonald, “Ethical Considerations in Resource Allocation in a Cochlear Implant Program”, The Journal of Otolaryngology (2008) April, 37, 2, 250-5. Carol A. Morgan and Michael McDonald, “Ethical Dilemmas in Veterinary Medicine”, Veterinary Clinics Small Animal Practice 37 (2007) 165-179. Michael McDonald, “Dedication and Introduction”, Special Issue: Canadian Governance for Health Research Involving Humans, Health Law Review, (2005) Vol. 13, No. 2-3, 5-12. Anita Molzahn, Rosalie Starzomski, Michael McDonald, Chloe O’Loughlin, “Chinese Canadian Beliefs Toward Organ Donation,” Qualitative Health Research 15(1) 82-98 (January 2005). Anita Molzahn, Michael McDonald, Rosalie Starzomski, Chloe O’Loughlin, “Coast Salish Beliefs Towards Transplantation”. Canadian Journal of Nursing Research 36(4), 110-128 (April 2004). Michael McDonald, “Dignity at the End of Our Days: Personal, Familial and Cultural Location, Journal of Palliative Care 20:3, (2004) 163-171. M. McDonald and E. Meslin, Research Ethics as Social Policy: Some Lessons from Experiences in Canada and the United States. The Tocqueville Review/La Revue Tocqueville, 2003. xxiv (2) pp. 61-85. Henderson, A. J. Z., Landolt, M. A., McDonald, M. F., Landsberg, D. N., Barrable, W. M., Soos, J. G., Gourlay, W., Allison, C. J. (in press). The living anonymous kidney donor: Lunatic or saint? American Journal of Transplantation. Chris Macdonald, Michael McDonald, and Wayne Norman “Charitable Conflicts of Interest,” Journal of Business Ethics 39 (Nos. 1-2) 67-74. “Canadian Governance of Health Research Involving Human Subjects: Is Anybody Minding the Store?” Health Law Journal, Vol.9, 2001, 1-21. The Governance of Health Research Involving Human Subjects. Law Commission of Canada, Ottawa, October 2000 (online). Available in either English or French, xxiv + 363 pages. Landolt, M.A., Henderson, A.J.Z., Barrable, W.M., Greenwood, S.D., McDonald, M.F., Soos, J.G., Landsberg, D.N. “Living Anonymous Kidney Donation: What Does the Public Think?” Transplantation. (June 2001). “The Governance of Health Research Involving Human Subjects: Reflections on Ethical Policy for Scientific Research”, Transactions Royal Society of Canada Special Issue: Science and Ethics, Series VI, Volume XI, pp. 49-68. “First Principles for Professional Foresters.” “First Principles for Professional Foresters”. Peter C. List, Ed. Environmental Ethics and Forestry: A Reader, Philadelphia: Temple University Press, 2000; pp.128-144. “Hands: Clean and Tied, Dirty and Bloody”, Cruelty and Deception: The Controversy Over Dirty Hands In Politics, David Shugarman and Paul Rynard, Eds. Broadview Press, 1999. “Health, Health Care and Culture: Diverse Meanings, Shared Agendas”, A Cross-Cultural Dialogue on Health Care Ethics, Eds. H. Coward and P. Ratanakul, Wilfrid Laurier University Press. 1999, pp. 92-112.